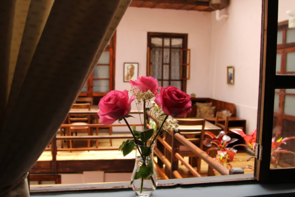 Casa Ordoñez is a small friendly boutique hotel in the heart of Cuenca, Ecuador. This is a Colonial Spanish home, that has been in our familly for over 100 years. Our Mission: "Feel at Home"
Provide all the comfort you would expect. Meet and exceed your expectations. Committed to provide you with a residential environment. 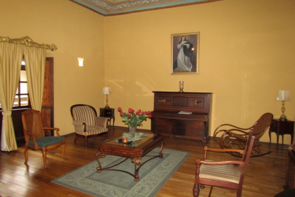 "A wonderful place to stay in Cuenca” My wife and I stayed at the Casa Ordoñez in July 2014 for three nights. We had an outstanding experience. Our bedroom was comfortable and quiet. The breakfasts were excellent. A lounge with TV/DVD and books was really appreciated on our only rainy afternoon in Cuenca. Most important, the staff -- mostly members of the same family -- were extremely helpful and considerate. Their level of service made Casa Ordoñez a place we will always remember fondly.